(16 January 1880 – 25 July 1955). Today Western Approaches HQ marks the birthday anniversary of Admiral Sir Percy Noble , the first Commander in Chief of Western Approaches HQ based in Liverpool . Noble was acknowledged by his successor Admiral Sir Max Horton as a great leader , “who splendidly dealt with the adverse state of affairs he found himself facing” in 1941 and ’42 with few ships and a huge U-boat threat in the Atlantic. Noble went on to act as the critical naval liaison in Washington and was central in managing constructive relations with the US navy who did not respond so well to Horton ! Noble was remembered with fondness and respect by those who worked for him , the detail of his career can be found here here, so rather than repeat this we thought that we would share some of these memories with you . ‘Norman Robertson became the personal chauffeur of Sir Percy Noble in 1941 and this is his story. The car he drove was an Austin Princess. Sir Percy Noble was resident at Derby House, he had a suite of rooms on the first floor overlooking Exchange Flags. Each morning when Norman reported for duty, there was a Royal Marine at Sir Percy’s door. Sometimes the order would be to drive to Sefton Park. That would mean that the Admiral was going for a walk, which would take about 15 minutes. Then he would return to the office a little more relaxed. Norman remembers the Admiral as a pleasant, fair and considerate man. ” I remember our horror when we were hear that Max was to succeed Percy Noble. P.N. was of course liked and respected by everybody, including the Wrens , and his departure was greatly mourned”. 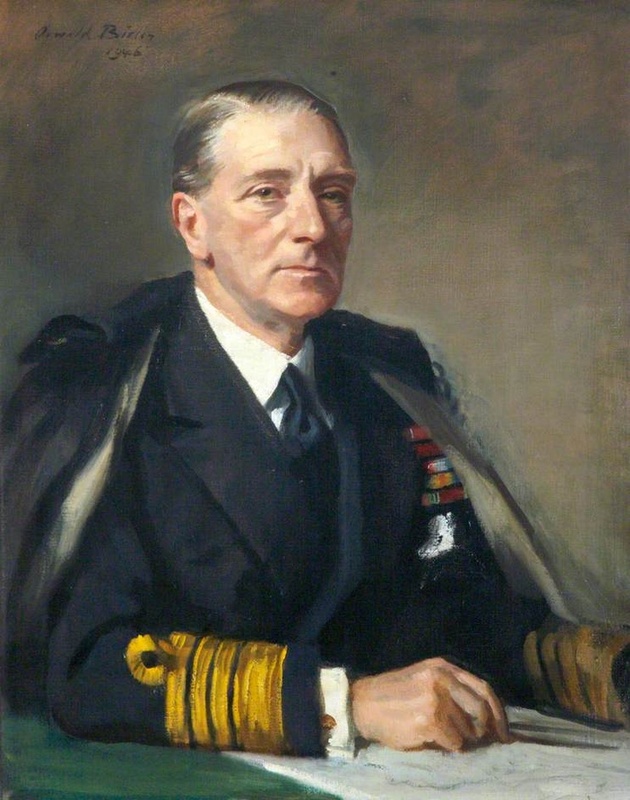 Admiral Sir Percy Noble died on 25 July 1955. In 1957 a memorial was placed in the north choir aisle of Liverpool Cathedral.